Need pre purchase building and termite inspection Perth? Are you looking to purchase a new home or business and want to ensure the structure is sound and not had or has termite issues? This is a common issue in Perth and should definitely be something that you look into before making such a big decision. We are here to help. We are happy to look at the structure and see what we might find. Pre purchase building and termite inspections Perth are very common and for good reason. You are about to pay out some serious money and not knowing everything your getting into would not be wise. We would completely recommend some pre purchase building and termite inspection Perth. Pre purchase building inspections are designs to determine the condition of the home before you sign the dotted line. You will have to have the property inspected for building structure issues as well as pest issues. These are two separate inspections. The building inspection should go into the age of the roof, what to look for in the future as far as furnace or appliance issues. Checks the electrical to ensure it is safe and up to code. Although a building inspection may see termite damage and note it. They are not looking for the initial signs of termites, borers or wood decay that will attract them. Some people perfer to have an all in one Building and Pest inspection, however, this is the cheaper way out and it is not a complete pest inspection. A building inspector is not trained to look for the signs of all pests and some can sneak in and start destruction right under most people’s nose. This is why we recommend a separate inspection done by a pest control expert. A realtor may offer someone that they recommend. Remember that these people work together every day and the inspector may be swayed to not mention something that they see. This is to protect their relationship with that realtor and your not here to make friends but do the best business you can for you and your family. Realtors may like the inspector to not go into to much detail to make the property look better than it actually is. Should they recommend an inspector you can check out their reputation online as well. See what others are saying about them and their company. Take note that not all building inspectors or pest control agencies are alike. Ask questions and get knowledgeable in what type of inspection you need and want. Most companies are happy to go more in detail in certain areas should you let them know ahead of time. Sellers can also get in the way of a good inspection by covering up the issues with paint or paneling. 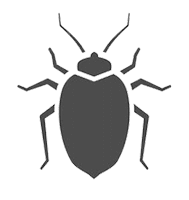 Pest inspections look for active activity as well as past activity from pests. They will look for construction faults, ventilation issues and drainage problems that may make your property more prone for termite activity as well. This helps prepare you for the future.